56. Supreme x Vans Sk-8 Hi "Public Enemy"
Supreme and Vans have done their share of collaborations over the years, and both have paid homage to many a seminal band. 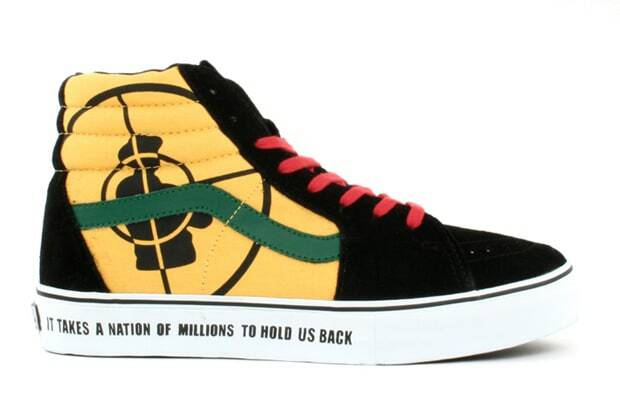 Their Bad Brains collection was fantastic, but it was the Public Enemy line that truly killed it. Much like Chuck D, these Sk8-His took the message straight to your grill piece.